On May 26, 2017 the NDA II government completed three years in office. Last three years have seen India rising in economic strength and making way for greater say on the world stage. This period has witnessed China's strategic footprints in Gilgit-Baltistan and China operationalizing Gwadar Port, CPEC roll out, Pakistan's enhanced proxy war on India, rise of radicalization in Kashmir Valley, and recent spurt in Maoist insurgency signaling there is need for serious review. The new Defence Procurement Policy (DPP) 2016 was issued in February 2016 albeit it had some appendices missing, which were subsequently added. The major missing chapter of DPP 2016 was the Strategic Partnership Model (SPM), which has just been unveiled. 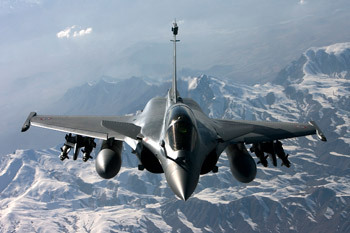 The SPM aims to engage indigenous private sector in manufacturing hi-tech defence equipment in India, as also establishing long-term strategic partnerships with qualified Indian industry majors through transparent and competitive process wherein the Indian industry partners would tie up with global OEMs to seek technology transfers and manufacturing know-how to set up domestic manufacturing infrastructure and supply chain. 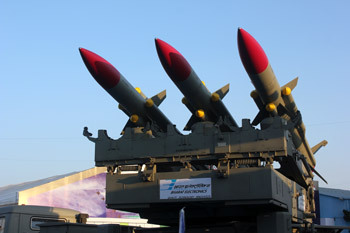 It may be recalled that despite adopting the 'Make' procedure in 2006 to promote development of systems based on indigenous research and design for providing the framework for increased participation of Indian industry in the defence sector, not a single design and development contract has been signed over past 11 years. This is because of the so called "procedural difficulties" in the MoD – term them red-tape, corruption, whatever. So, while the SPM is being hailed 'path breaking', it is follow up the action blueprint and time-based execution that holds the key, given that India needs arms worth over US$ 150 billion over the next decade, and over 1.5 lakh crore of mega deals are to immediately follow the SPM. 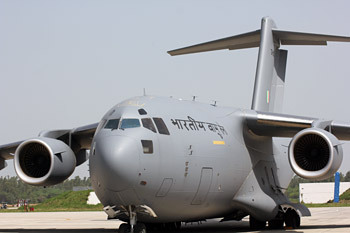 In terms of defence modernization, the IAF has acquired six C-130J Super Hercules transport aircraft, indigenous Tejas has been inducted, while 36 x Rafale and additional C-17 Globemaster heavy-lift transport aircraft are being procured. For the Navy, first of the INS Kolkatta Class Destroyer and INS Kochi have been commissioned. Trials for the indigenous aircraft carrier (IAC-1) have begun with induction slated for next year. 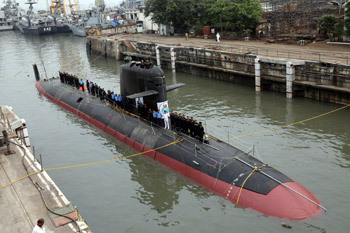 The first Scorpene submarine has joined service and deliveries of balance five submarines will be completed by 2021. As for Army modernization, plenty projects have been 'cleared' but what has arrived on ground is small: 'Akash' regiments supposedly with added 'mobility' but perforce used in static role; just arrived first two M777 howitzer guns ex US; 50,000 bullet proof jackets while the additional void has gone beyond 300,000 plus; while Dhanush guns are in pipeline. 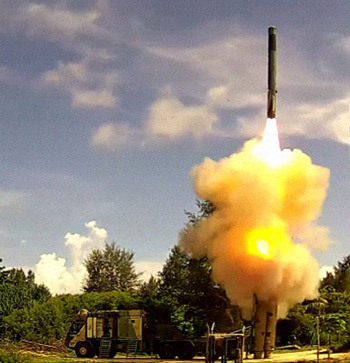 ISRO has made terrific advances and longer range BrahMos is successfully tested. But the soldier on ground, where the daily fight is, remains neglected; lacking even state-of-the-art assault rifle and surveillance equipment both by day and night. Maps provided are not updated past 25-30 years. MoD study ordered post the Patahnkot IAF base terror attack that brought out glaring voids in protection installations and posts warranted immediate provisioning especially with increased terrorist attacks, but this is not happening. Defence budgets for the present and last financial years have ironically been negative. The Army Chief recently spoke in presence of media of the relation between economic development and security; implying that economic development cannot be guaranteed without adequate defence preparedness. Our defence allocations remain poor despite growing anti-India China-Pak nexus, PLA's rapid modernization and infrastructure development across the Line of Control. 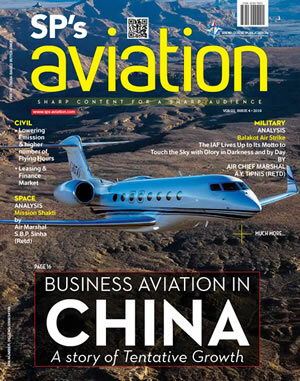 Obviously we have failed to find the correct mix between economic development and security. This weakness is also linked to: voids of cohesive national security strategy and comprehensive defence review; failure to address reorganization of higher defence organizations, particularly lack of military professionals in MoD. The latter folly is compounded by denying military participation even where it should be must. For example, in the second round of US-India Maritime Security Dialogue (MSD) held on May 9-10 at US Naval War College, Newport, Rhode Island, the US side included members of US Department of Defense, US Navy and US Coast Guard, whereas, the Indian side comprised only MoD and MEA staffers without a single member from Indian Navy and Coast Guard. Establishment of a CDS with full operational powers, which is essential to synergize the military hasn't occurred. Even the Allocation of Business & Transaction of Business Rules Act 1961 have not been reviewed that follow the British legacy of Defence Secretary (not Defence Minister) charged with defence of India and the Services Headquarters continue to officially remain "attached offices" – facilitating bureaucrats to enjoy power without responsibility and accountability. So does NDA II accredit defence of India to business, trade and signing mega deals alone? This is what the Prime Minister must address. The 'surgical strikes' apart, there is no move to address the glaring strategic asymmetry in sub-conventional warfare vis-à-vis Pakistan and China. Fire assaults can't constitute effective deterrent against proxy wars. Yet another strategic mistake is ignoring the man behind the machine, even degrading him below the central armed police forces. Bureaucracy projects this as just cribbing officers, but this is more relevant to the soldiers, officers constituting less than 2%. 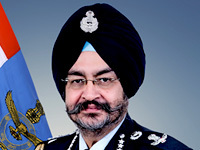 Three Service Chiefs refused to implement the 7th CPC till the anomalies were addressed, so MoD let those Chiefs retire, took away powers of Services to issue Special Army/Navy/Air Forces Instructions notifying pay and allowances, and now issued implementation orders directly saying anomalies will be addressed subsequently – a shame but then existence of a foreign-funded (hawala included) anti-military constituency in India is a reality. No Service Chief uttered a word when veterans peacefully protesting at Jantar Mantar wearing regimental caps, wearing medals including gallantry awards, were baton charged by police obviously with blessings of someone in the political hierarchy at the Centre. Surely PM Modi would know that with the vast connectivity of Digita India and media explosion serving soldiers were watching this tamasha and some of them may have been wards of those being baton charged. That someone junior policeman was later sent to apologize at Jantar Mantar, ensured this blot will remain with NDA II. These are issues that need to be addressed – provided we realize their importance.